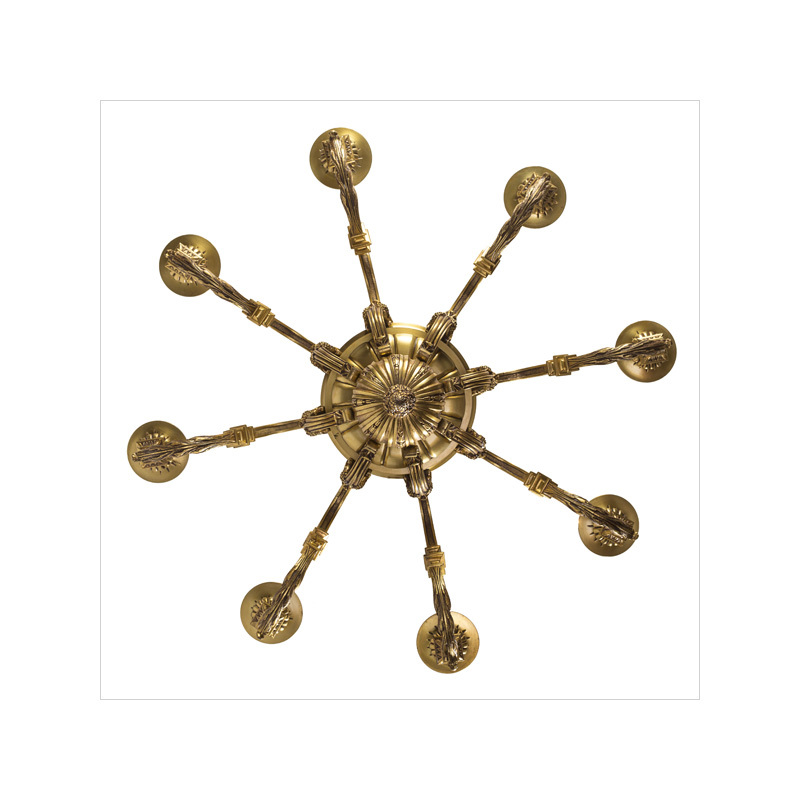 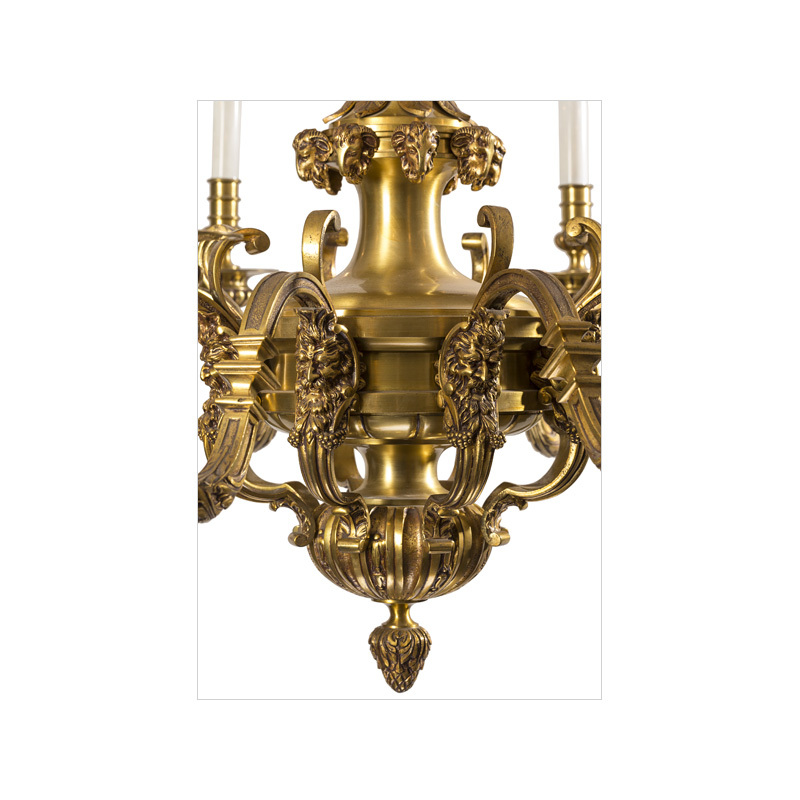 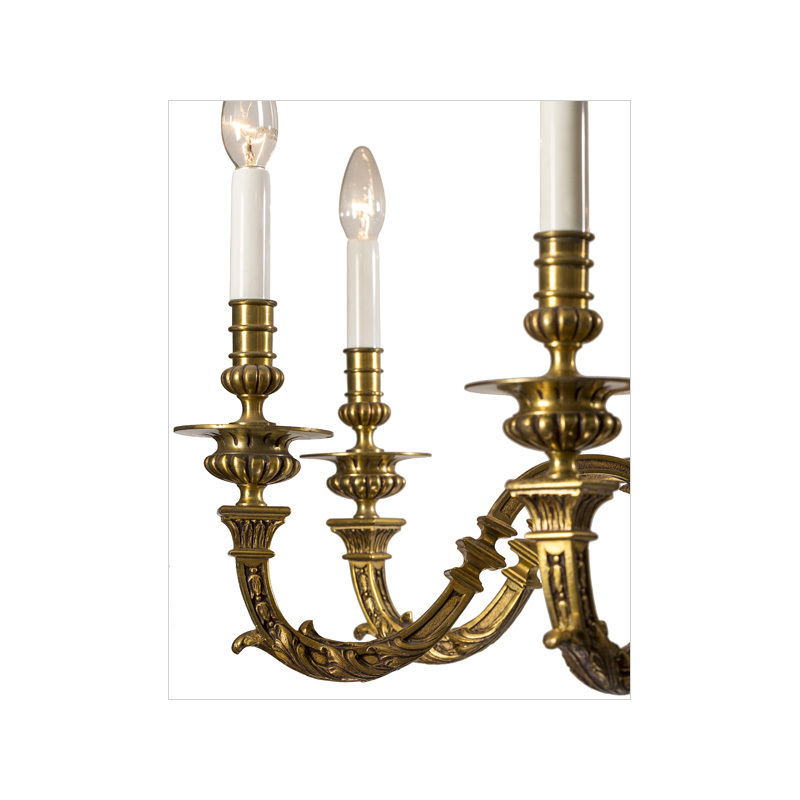 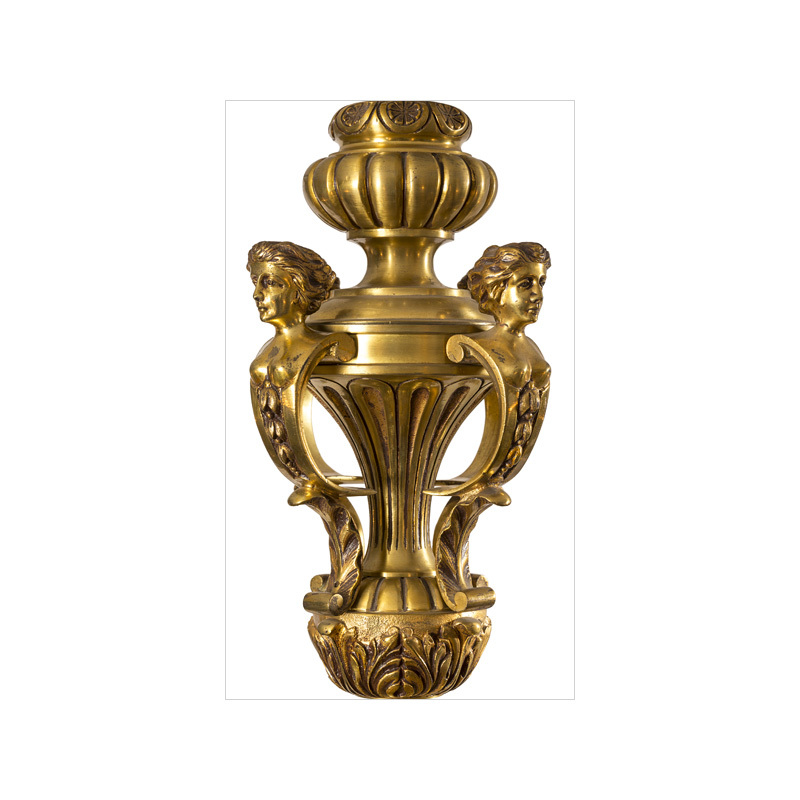 This impressive late 19th century French eight-light brass chandelier in Louis XV style shares many design elements with one made in c.1700 by André-Charles Boulle for King Frederick II of Prussia. 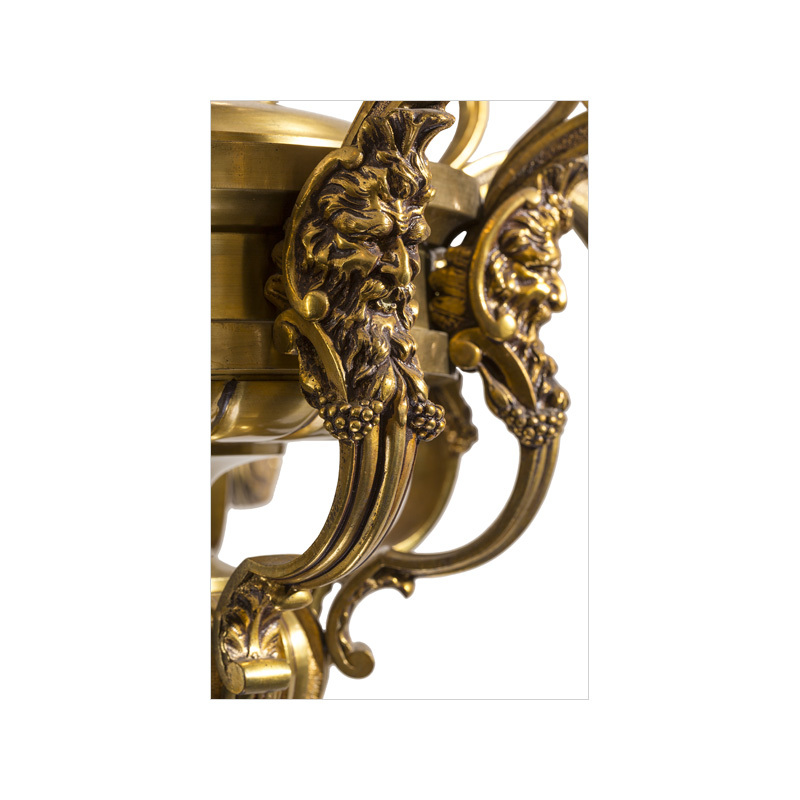 The center column of both chandeliers is decorated with busts of women/caryatids, rams heads and faces of satyrs, there are vegetal motifs overall, and the S-curve and design elements of the arms are quite similar. 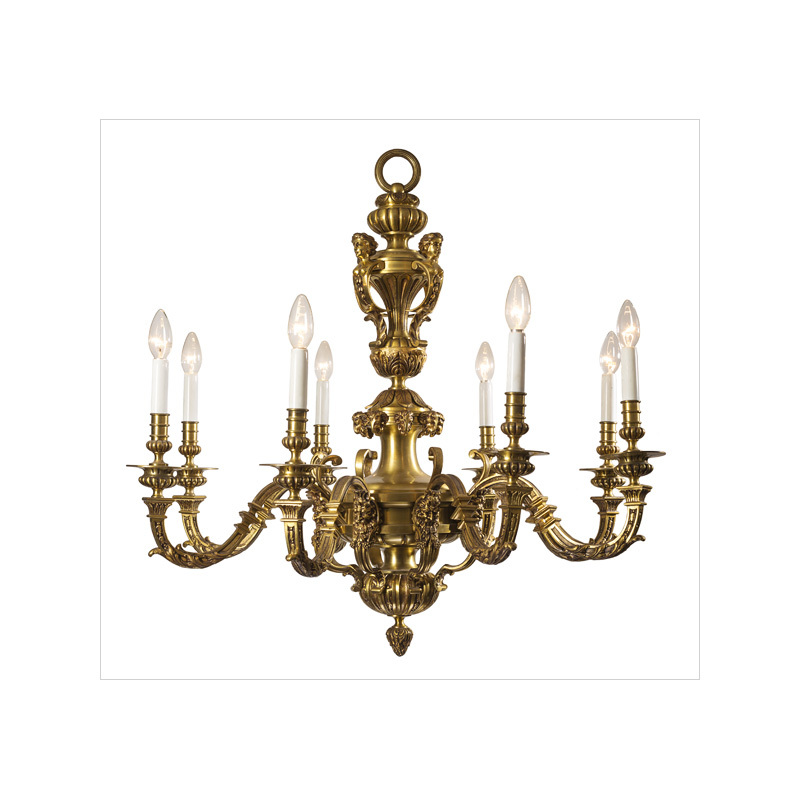 It is in perfect structural shape and ready to hang, and all lamps are functioning correctly. 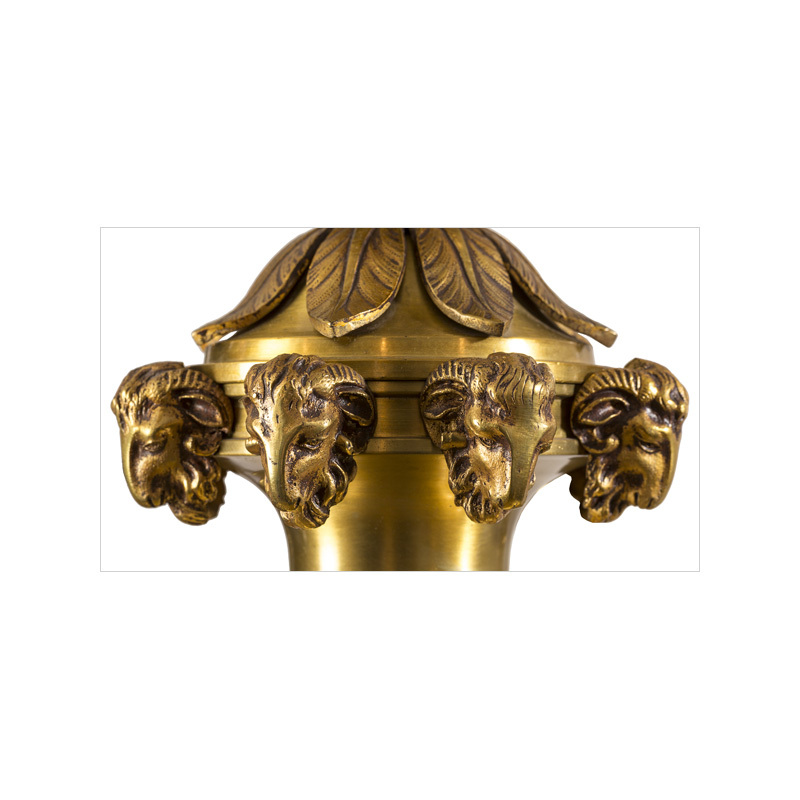 This lamp is of dramatic size (87cm diameter) and makes a strong design statement. These chandeliers are often referred to as Dore. 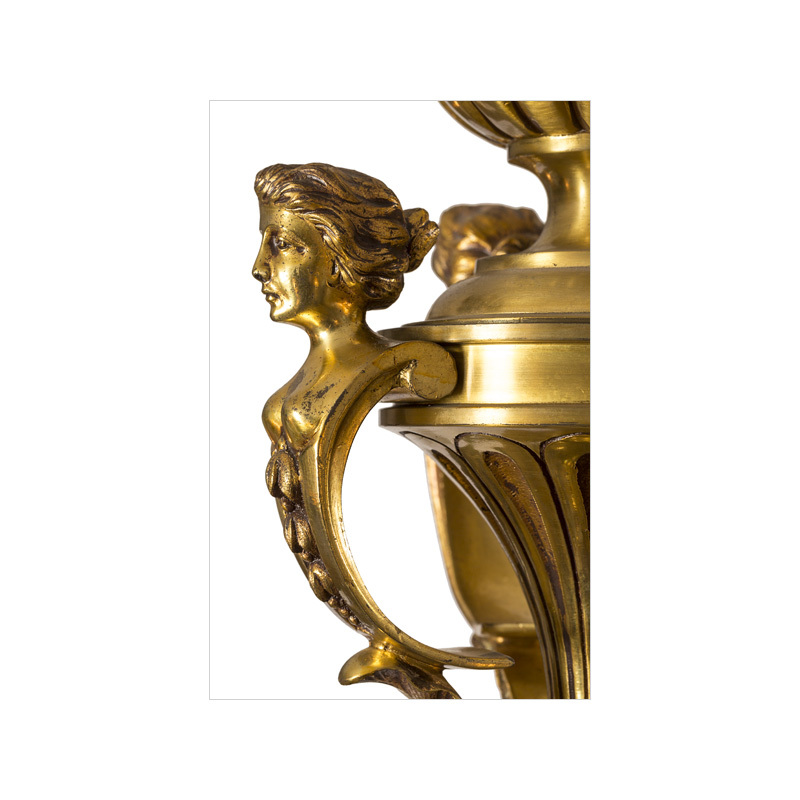 This is not a style or designer, but simply a reference to the color of the gilt bronze or brass metal - D'or (or doré) being French for "golden."